Hey, Guys! 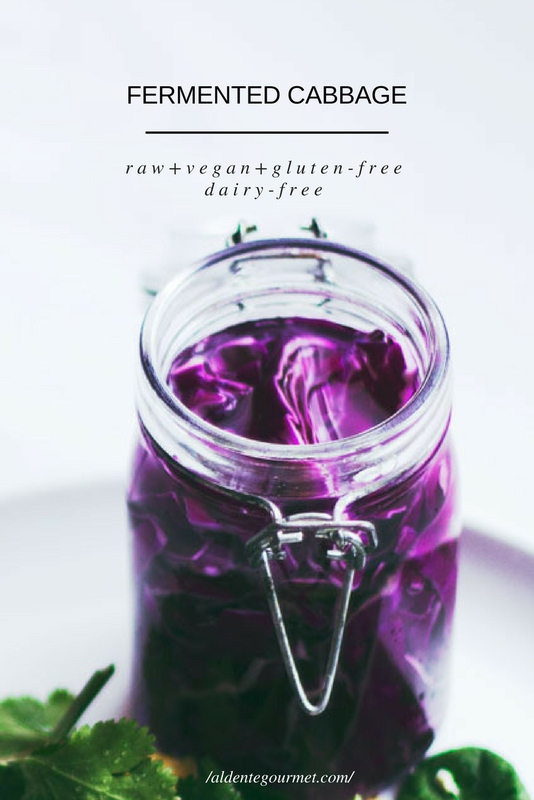 Today I want to share with you this easy but delicious fermented red cabbage recipe which also happens to be an awesome natural source of probiotics. Plus incredibly budget friendly! Also, today I start my new 'audio post series'! 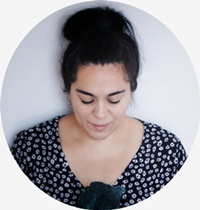 So I prepared an audio for this post, in case you prefer listening instead of reading! Today I want to show you how you can make your own probiotics, just by fermenting vegetables. The process of vegetable fermentation is super easy, and you will need some basic equipment and ingredients. You will need a glass jar, some filtered water, some salt and your vegetables. And you can use any vegetable; you can use kale, cucumbers, carrots, onions, cauliflower, bell peppers, red cabbage, green cabbage, green beans....asparagus...just whatever vegetable you're fancy! As soon as the process of vegetable fermentation starts; the vegetables combined with the salted water produce something called 'Lactic Acid'. And when the 'Lactic-Fermentation' begins a bacteria called 'Lactobacillus' is produced. And this is a 'Good Bacteria'! This good bacteria start to proliferate and multiply and starts creating 'probiotics! And this is why fermented food, in general, has this sour taste, because of the 'Lacto-Fermentation'. And so you know this has nothing to do with dairy or milk. This is just how the process is called; 'Lacto-Fermentation or Lactic-Fermentation'. So if you're intolerant of dairy or if you're a vegan, you don't have to worry about this because this is totally dairy-free, ok.
And this is pretty much it! I hope you try this recipe, I hope you start incorporating more fermented vegetables into your diet because it can do a lot of good things for you. It can enhance your immune system, it can help you digest food better and it can keep your intestinal flora...happy + healthy... which I think its pretty good! 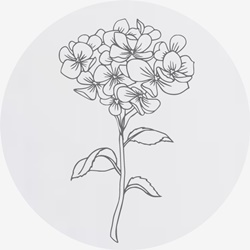 I hope you like it and try it. Just follow the how-to recipe/process below. And if you have any questions just let me know in the comment section below. 1- Prepare Salted water by mixing water with at least 3-4 tablespoon salt or until water taste like sea salt. Make sure salt is completely dissolved. Set aside. *make sure the salt is dry. 3- Cut off and save 1 outer leaf from the cabbage. Set aside. We'll use later on. 4- Cut cabbage into stripes either thick or thin or to your liking. 5- Cut onion if using and set aside. 6- Wash cut cabbage again. And set aside. 6- Add onions if using any. Press down on the cabbage every so often and keep adding cabbage. 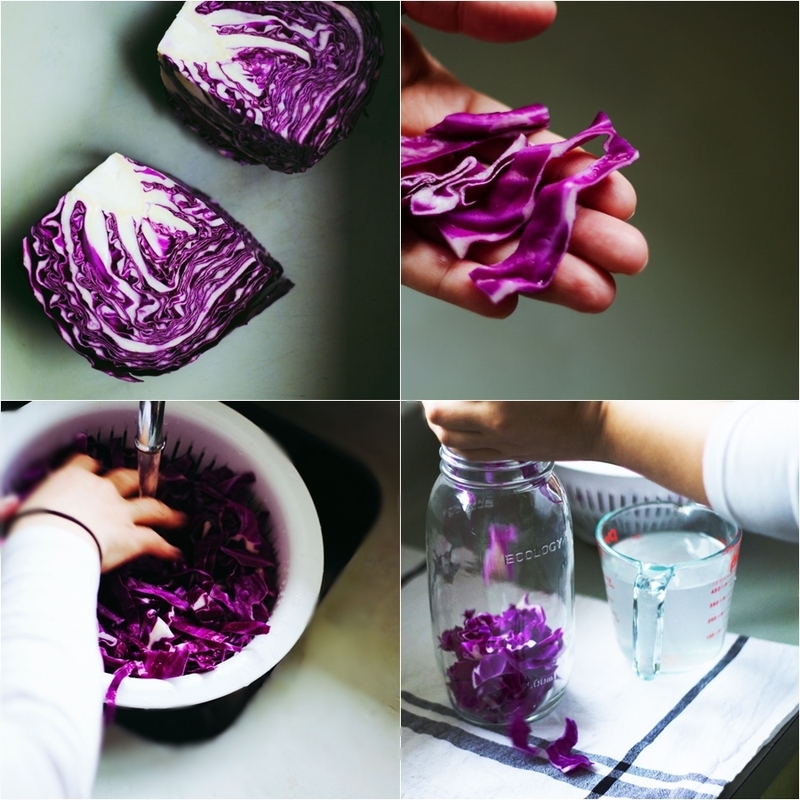 7- When you have filled most of the jar with the cabbage (like in picture # 6) start adding salted water. 8- Then press down cabbage again and add a little bit more cabbage, leaving a few centimeters gap at the top. Now take the outer leaf you saved in step #3, fold it up approximately the size of the mouth jar. And cover the prepared cabbage (like in picture # 8). 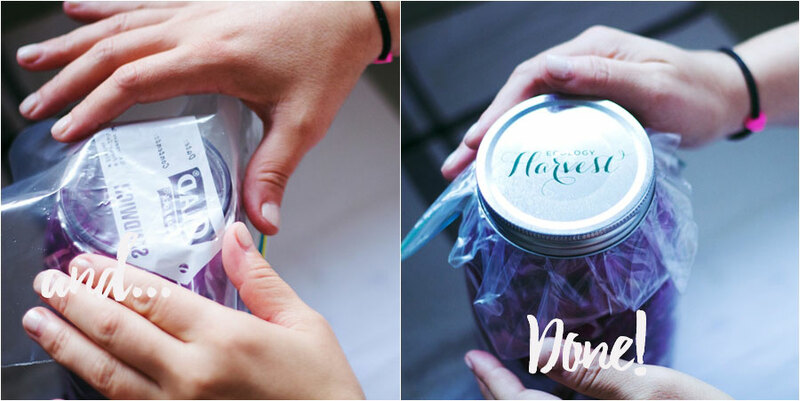 9- Cover your jar with the plastic bag or a piece of cheesecloth/muslin (this is to keep oxygen out and allow proper fermentation and also to prevent dust or insects from getting into the jar as well). Close the lid of the jar and leave at room temperature out of direct sunlight. The process of lacto-fermentation will be complete after the first 3 days and during this time you'll see bubbles going up and down the salted water. This means the 'Good Bacteria / Probiotics' from the cabbage have fermented and its ready to eat and enjoy!!! But you can always leave it for longer (3-10 days max). Just give it a taste after 3 days, and see if it's sour or tangy enough for your taste. 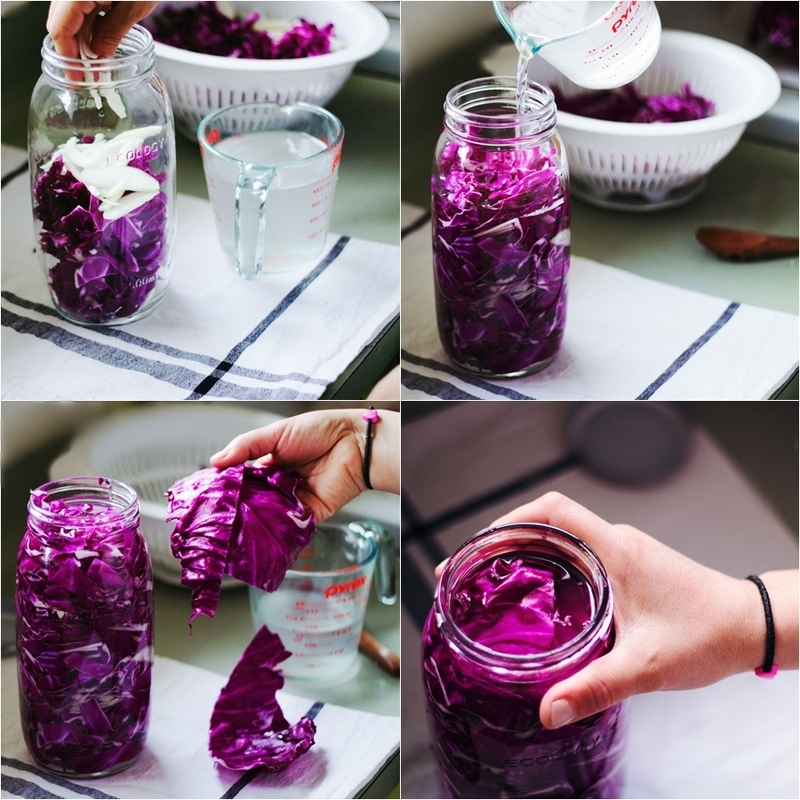 After opening your fermented cabbage, store it in the fridge (always with the lid on). Once you put it in the fridge lacto-fermentation will continue but slower and will last for one month. ** Water quantity will be according to the capacity of the jar you're using. And also the kind of vegetable you're using. ** I use a jar with 1500 ml/ 50.72 oz capacity when fermenting cabbage.And for this jar size and kind of vegetable, I always use about 1 Lt / 33.81 oz of filtered water.